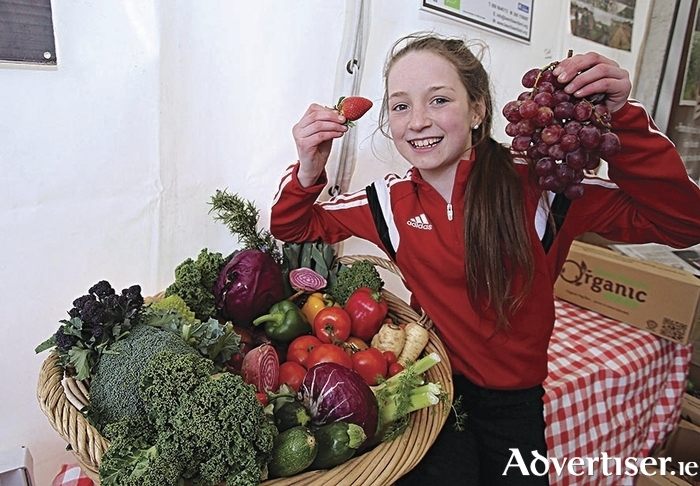 The Galway food community united once again to host a memorable event over the Easter Bank Holiday weekend with nearly 70,000 people tasting and sipping the best of local produce at the Galway Food Festival. Thunder may have roared at certain points over the few days but it did not diminish in any way the vibrant hum at the Spanish Arch where Ireland’s and Galway’s leading chefs and local artisan producers enthusiastically engaged with international and national visitors and Galwegians at the fifth annual celebration of all things food. The appetite for this year's festival was whetted last week with the announcement that Galway has been selected as a Region of Gastronomy for 2018. Across the city from the Global Food Village at Spanish Arch to Woodquay Market, and an abundance of high quality eateries and food destinations, each was showcasing their passion and enthusiasm for gastronomy. This year’s Galway Food Festival theme of 100 Years of Irish Food coincided with the 2016 Easter Rising centenary programme, and saw local hoteliers experience an increased demand in dedicated bookings for the festival, while restaurants, eateries, pubs and retailers saw their programme events sell out. Dublin based Michelin Star chef Ross Lewis of Chapter One Restaurant was the opening act of a busy schedule of food demonstrations on Good Friday, while other visiting chefs included award winning Gavin Mc Donagh of Brioche Ranelagh, Wade Murphy of 1826 Adare, Martin Whelan Beelain Global Village Dingle, Paul Mc Donald of Bastion Kinsale, and Evan O Ceallaigh, Galway’s young up and coming chef who is currently training with Pierre Koffmann London. Natural Born Feeder aka Irish model Roz Purcell also attracted huge interest with her sell out Dinner with Roz at Brassserie on the Corner, on her first visit to Galway Food Festival. The 1916 inspired tasting menu at Michelin Star Restaurant Aniar was another event that attracted many international visitors. Festival chairman JP McMahon was delighted with the three day event. "The organisers of Galway Food Festival continue to be overwhelmed and inspired by the hugely energetic local food community. This year we saw increased interest in both the history and future of Irish food which attracted much footfall and greater engagement from the hospitality, restaurant, and food producers, in both the lead into the festival and throughout Easter Weekend. We also saw an increase in overseas visitors, while the greatest growth was among families and consumers wanting to learn more about healthy eating, cooking, and food products." Mayor of Galway City, Councillor Frank Fahy, said since the festival's launch in 2012 it had gone from strength to strength. "The economic and financial importance of the Galway Food Festival cannot be overstated. There are more than 10,000 jobs in the restaurant, retail, and gastro pub trade in Galway city and county, excluding food producers, farmers and distributors which is hugely significant for the local economy."